Goat's milk has healing, moisture-rich benefits with the right protein structure to be quickly and easily absorbed. It helps provide the necessary vitamins, minerals and proteins needed for all-around health and wellness. Goat milk shampoo is wonderful for pets with dry or sensitive skin, or conditions such as eczema and psoriasis as it balances the alkalinity of the skin with the presence of capric and caprylic acids. 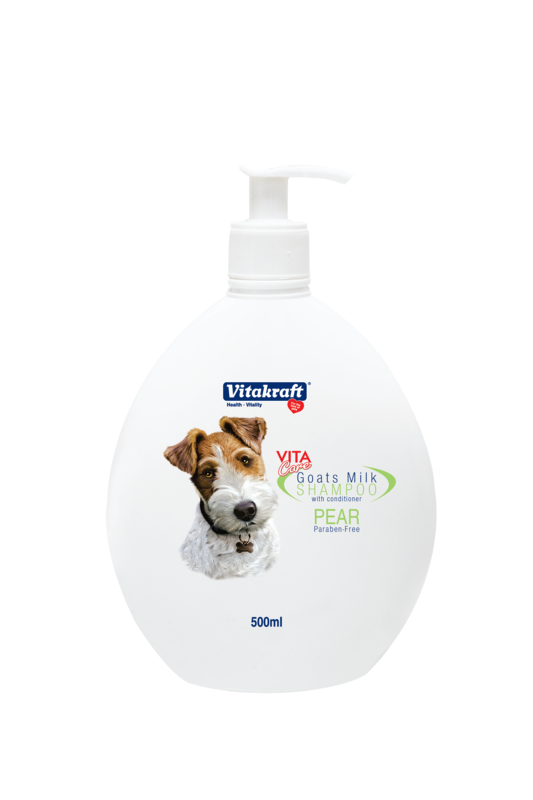 It is also perfect for pets with healthy skin, puppies and kittens. - Rejuvenate and restore elasticity, softness and shine in its coat. - Moisturizes the skin, prevents dehydration and slows down the aging process.